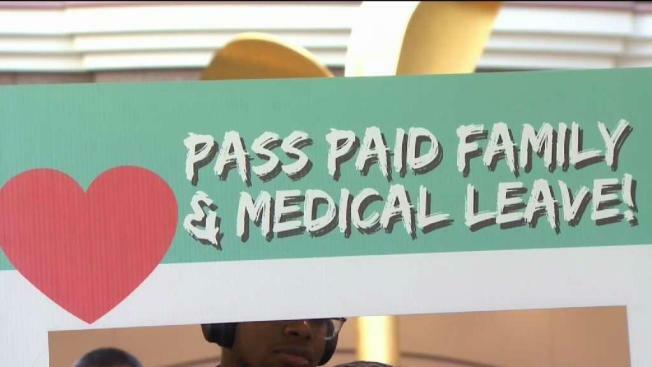 Paid family medical leave is one of the big goals for Governor Ned Lamont, but the big question has always been how to pay for it. The latest proposal would give up to 12 weeks of family and medical leave compensation. But concerns include how it would be paid and what economic impact it will cause. Lamont is looking to have .5 percent of everyone’s paycheck go toward a Family and Medical Leave Trust Fund. “Your job is what you do, your family is who you are,” said Stephania Johnson. Advocates of paid family and medical leave hope this is their year. Johnson is a mother of two and said she found herself choosing between her job and her family. “There were days I had to go with no food on the table and no paycheck because I had to care for my son,” Johnson said. Republicans said they’re not against the idea but that there needs to be an economic analysis of how it would impact the state. “There's a lot of stuff in the air and question marks about the economics of it,” said Senate Minority Leader Len Fasano. The Connecticut Business and Industry Association says there are a lot of concerns about the proposal, that smaller businesses simply can’t afford to leave a position vacant for several weeks. But advocates say it’s time Connecticut joined other states in creating a program that helps workers not to have to choose between family and work. “We urge committee members today to recognize this issue is a matter for life and death for many workers and their families,” said Lindsay Farrell of the Connecticut Working Families.